Which Number Would you like 50 60 65 70 75 80 Some other number? 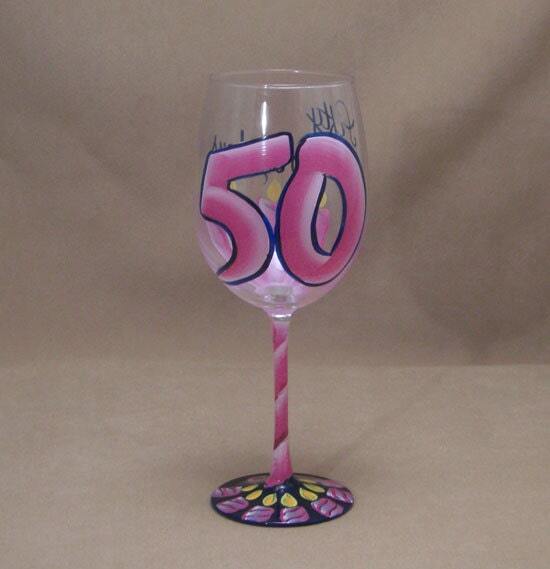 50 Truly is Fabulous and deserves a hand painted wine glass to celebrate with. Adorned with candles, lots of them. 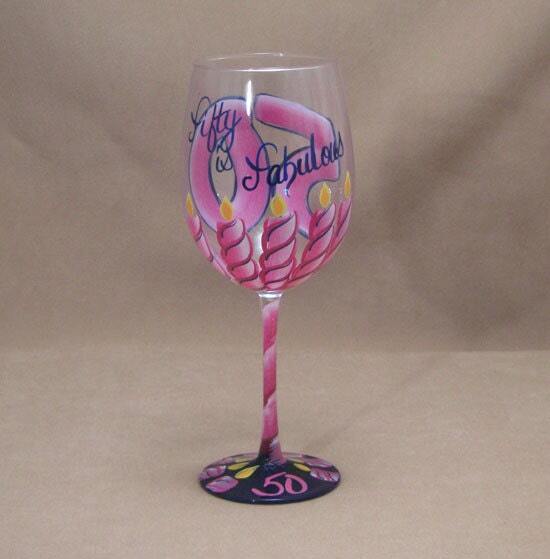 This glass can be painted in your choice of colors Just ask.